Announcing the winners of 'My Most Memorable Memento Contest'! But, you did it. You brushed off all my anxieties aside and opened your hearts out. And now when the day has come that I have to get down to declaring the results, all I can say is that this has been one of the most incredible (and memorable!) collections ‘My Yatra Diary…’ has ever seen. Going through all your entries has been an experience moving beyond words, something that cannot be expressed. Your mementos have not been mere objects; they have reflected dreams, aspirations, love, lessons, achievements, life and so on. My Yatra Diary... along with IndianCoupons, thank you with the deepest of our hearts for all your wonderful entries and responses which made this contest … so much more exciting and fun. Today, to choose a best, seems somehow improper, also difficult, because there are really many (?! ); but I realize, to leave it up isn't any option that I have either. So I have decided to take one easy way out, guess what? 1. 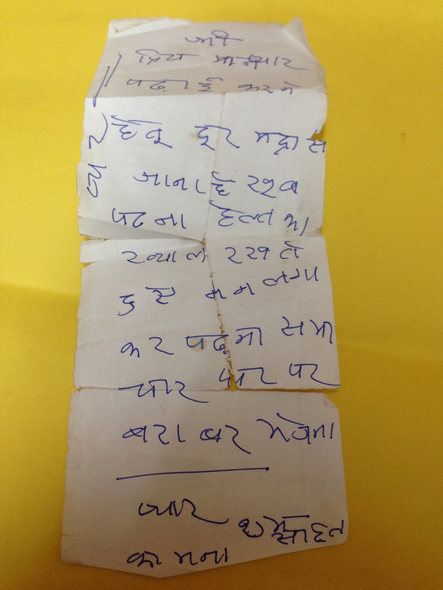 Prateek Mathur for his post, "Memento"
A letter from his (almost blind) grandmother when he left home, around 9 years back. 2. 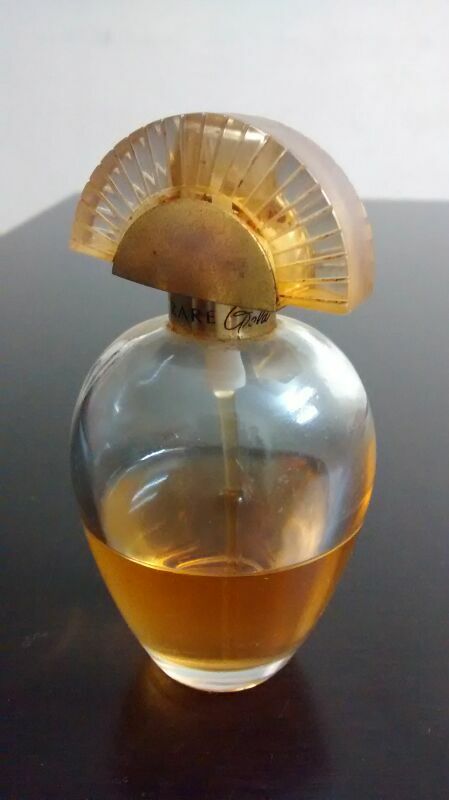 Kimi Colney for her post, "Perfume Memories"
Sweet memories of her mother linger on... in a bottle of a perfume. BIG hearty congratulations to the winners for winning Rs. 4000/- GiftBig giftcard Vouchers each and a BIGGER thank you once again to all of you, for taking the time to share such amazing mementos with all of us thereby making this contest a lovely success. And last but not the least; I sincerely hope that all those who could not make it to the winners list will not feel dejected / sad in any way. You all have been winners in your own right; this was a lot closer than perhaps you can even imagine! “Winning isn't everything, but the will to win is everything. Note: Both the winners will be contacted by the end of this month via e-mail. Thanks for this wonderful opportunity for me to travel back 10 years in time, with my momento, too. This was emotional ride to write this post. Thanks for giving us an opportunity to touch a part of our lives that got a little lost in the daily commotion of life. This was one of the few contests worth writing for :). Congrats to the winners - i think you chose well! Find both of them very touching. Scents - yes, they really do bring back long lost memories ... Have a happy midweek dear Arti! Congratulations winners... A well deserved win. Both the posts are so beautifully written. They indeed are special mementos. Arti, Congratulations to both winners. Great. Congratulations to the winners, just their pictures and brief description alone tells me they are very touching. Glad you were able to pick a winner Arti. Two worthy winners, well done for such wonderfully touching entries. I still only have to get a whiff of lily of the valley or honeysuckle and can feel my nana with me. Congratulations to both the winners! It was a beautiful contest, I enjoyed writing this one. Congratulations to the winners - both so well deserved and very moving. Congrats to all, Very interesting blog. Thank you..
Congrats to both the winners..the stories are really touching.. It is so nice you came up with this contest. Congratulations to the winners! They are simply beautiful and touching. These mementos are to help them feel how much they were blessed and treasured and moving forward. Thank you for sharing, Arti! Dear Arti - Congratulations on the winners! “Winning isn't everything, but the will to win is everything.” I’ll keep this quote in mind. Thank you for sharing. Congratulations, both of you truly deserved it !